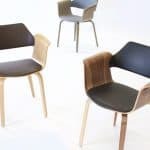 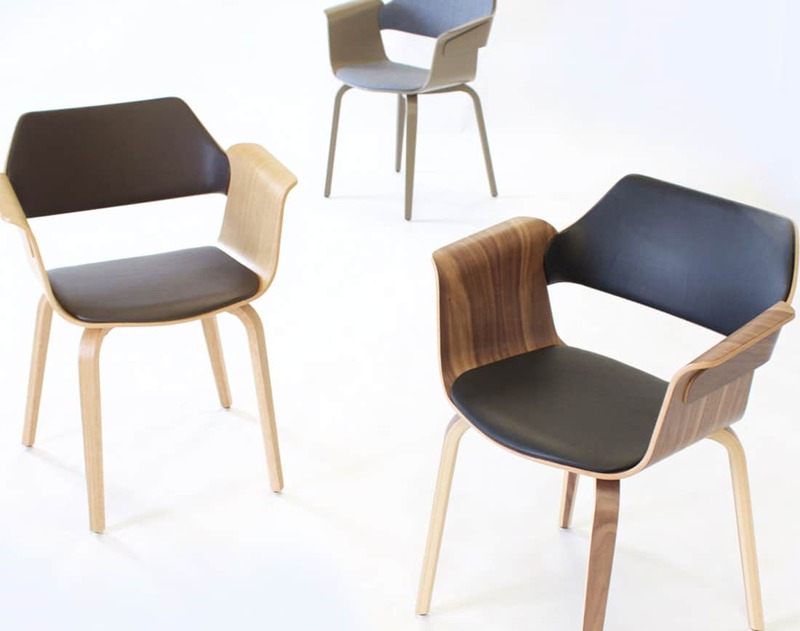 Plywood shell available in oak, walnut, beech or lacquered. 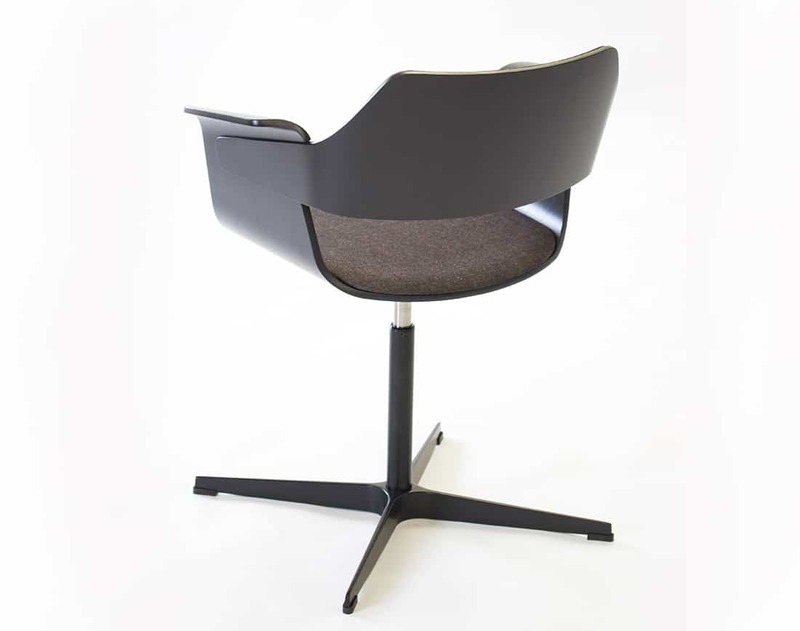 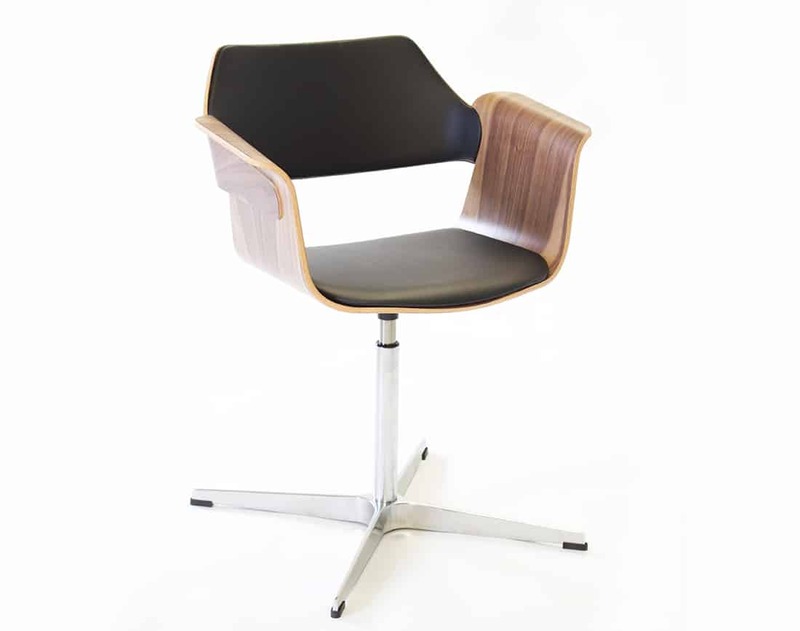 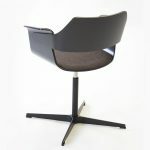 Available either with a 4 leg wood frame or a 4 star swivel base and a variety of upholstery options. 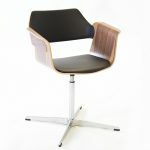 Designed in collaboration with Ply Design.